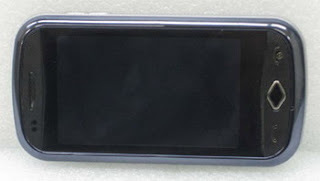 A new Pantech handset for AT&T has been spotted at the FCC - the P9050 “Sparrow”. The mobile phone will apparently feature a 3G radio that works with AT&T 3G network’s bands (850/1900 MHz). It has a 3.1-inch WVGA (480×800 pixels) touchscreen, 3MP camera with video capture, Bluetooth, GPS, AT&T’s Video Share, Mobile Locker, and a microSD memory card slot. And now with some official certifications passing through the FCC, we might be seeing it hit the street sooner than later. 0 comments on "AT&T Pantech P9050 on FCC"